Prostate gland health or else the dreaded old man's lurgy. It's frequently troublesome for the older male; usually 50 plus. Over a million Americans are taking saw palmetto daily, for example, for benign hypertrophy; painful enlargement which blocks urine flow. Non bacterial inflammation can be particularly painful as it responds to virtually no medical treatment. It's not an infection. The first sign is difficulty having a sweet pee, though prostate CA, the leading cancer killer of men can be silent in the initial stages. Decreased normal blood supply to the gland is one of the causes of prostate dysfunction. A good understanding of the pathophysiology of atherosclerosis is the beginning of getting on top of this nuggety glandular problem. Despite conventional treatment, 10,000 men die in the UK every year from prostate cancer. It's not a nice way to pass on, as the disease spreads frequently to the spine and pelvic bones causing extreme pain. Worse, after conventional care, of those who survive both the disease and the treatment, 20 percent will be incontinent and 50 percent will be impotent. There are 27,000 new diagnoses every year in the UK; in my country, South Africa, there are 4,000 new cases each year. A new treatment on trial is showing promising results. Researchers at Unitversity College London are using intense ultrasound waves to target the tumour, with none of the side effects of radical surgery and radiation. Prevention is the name of the game. There is plenty that men can do to reduce the risk of this nasty disease. More likely, it's their wives who will be taking the responsibility of ensuring that their husbands enjoy good prostate gland health. That's because the prevention in the main has to do with what their husbands will be eating. If your mother or sister have had breast cancer, then you have an increased risk of contracting the disease; the reason is not clear but the clear suggestion is that there is a large dietary component. We inherit our parents' way of eating and, if they didn't get their eight coloured foods most days, then we probably don't either. Lignans are the big factor in breast cancer, but I know of no proven link to the prostate; but if the woman makes sure she's getting whole foods with this phytochemical, then hubby will get it too. Here are four nutrients that should be on the menu at least once a week, and really there's no reason not to enjoy them every day. Is it that difficult to eat tomatoes in one form or another, broccoli and mushrooms, avocado and chili most days of the week? The phytochemical lycopene in tomatoes reduces the likelihood of contracting prostate cancer by 50% if enjoyed daily; it's proven. It is the lycopene which is a powerful antioxidant that does the trick. Every male should have both cooked and raw tomato EVERY DAY. The TOMATO PROSTATE link is important for the lady of the house too if she doesn't want an impotent man in her life! There's a suggestion that cooked is even better and there's no simpler way than this easy tomato soup recipe; enjoy it at least weekly. The mineral selenium in broccoli and mushrooms has a particularly important role to play. Men low in selenium, another anti-oxidant mineral, have a much greater likelihood of getting aggressive prostate cancer. Broccoli and mushrooms are particularly rich in selenium. Zinc too from pumpkin pips helps in the fight against BPH. Phytosterols are substances found in many foods, like these avocado benefits, but which typically are deficient in the Western diet; they have an enormously beneficial effect on Benign Prostate Hypertrophy, a non-cancerous enlargement, for example; it's all about prostate gland health. Research on an extract of Saw palmetto, mentioned above, for BPH however is not convincing. The results were no better than a placebo. Perhaps eating the whole fruit, a traditional North American Indian food, might be more effective. Avocado benefits include being particularly rich in beta sitosterol, a vitally important phytosterol for prostate gland health. One avocado per day is sufficient to provide the recommended dose for the treatment of BPH. Avocados are extremely good for you in many ways, incidentally, but if you have a weight problem, you will have to reduce your other fat intake, or better still high GI carbs. They contain zero cholesterol. Research in the Journal of Cancer Research reports that the active ingredient, capsaicin in red hot chili peppers has a profound anti proliferation effect on cancer cells in the prostate gland. 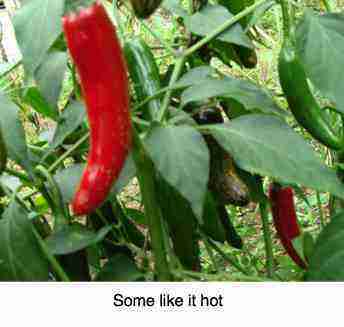 That is over and above the anti inflammatory chili properties, and their anti cholesterol and insulin lowering properties in diabetics. In any case, they are delicious; I prefer jalapenos; they aren't quite as hot. We enjoy a chunk almost every day in eight colors eggs Florentine. There are two reasons really why your chiropractor should be interested in your prostate gland health. For the first half century, chiropractic was fundamentally about reducing subluxations in the spine. For a small fringe of so called straight chiropractors that's still all that chiropractic is. Today, chiropractic health is far more. For me the push personally came the day a patient, my secretary's husband, had a heart attack and died. The previous week I reduced the subluxations in his lower back, that were giving him acute lower back and leg pain but said not a word about his weight or his blood pressure. Wholistic health was emphatically forced up my nose. My patients' whole well being, their total chiropractic health, ever since became my passion, not just spinal fixations. The other reason is that metatases from prostate cancer have a predilection for the pelvis and lumbar spine, areas that chiropractors are working in every day. Every chiropractor has lost umpteen patients to prostate cancer. Prostate milking is a subject we'll consider in the future. At this stage all I would say is that milking the prostate once a month, or even once a week, is a far better option than a prostate operation for benign prostatic hypertrophy. That's if you have no desire to be impotent or incontinent. You may have to twist your doctor or chiropractor's arm to do it. It's not particularly pleasant for either you or him, but a lot less painful than the loss of your manhood. Why Prostate Gland Health on a Chiropractic Help site? Lower back and leg pain are such common complaints; it's rare that it's coming from the prostate gland, but perhaps more common than we realise. Referred pain is a common phenomenon. It should always be in the back of your chiropractor's mind; as should thoughts on prostate gland health. Avocados typically bear in alternate years, so this is our third tree, now two years old. It will probably start to bear next year. 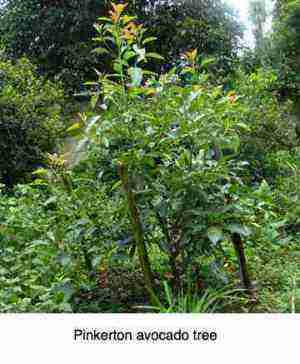 Our flagship Hass avocado, now thirty years, has borne nearly one thousand pears this year. One thousand arrows in the battle against prostatitis and benign prostatic hypertrophy. I'm passionate about my prostate gland health! You should be too! Sparkling good health doesn't come out of a bottle. It comes from eating right and exercising regularly. Consider instead asking your doctor to milk the gland every few weeks?